Vladimir Zhirinovsky, outspoken leader of the Liberal-Democratic Party, says State Duma deputies who met with newly appointed US ambassador should be forced to resign from their posts. "These deputies must give up their mandates ahead of time and cease being deputies," the LDPR leader railed. Zhirinovsky then singled out several individuals who, according to him, should be punished for meeting with US Ambassador Michael McFaul at the US Embassy in Moscow on January 17. "Deputies Leonid Kalashnikov, a Communist, and Oksana Dmitriyeva and Ilya Ponomaryov of the Fair Russia faction, joined the street opposition leaders and, one after another, walked into a foreign embassy which is preparing a war against us," Zhirinovsky said. US Ambassador McFaul attracted heated criticism in Russia after holding meetings with opposition politicians on his very first day on the job. Some pundits thought the move to be undiplomatic. 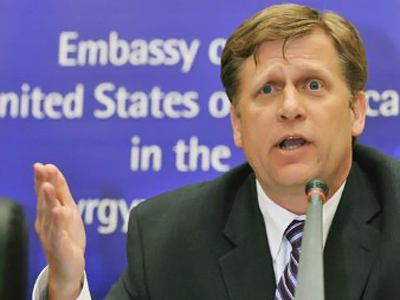 "McFaul is not a specialist on Russia," said Mikhail Leontyev, host of the political program “Odnako” (However). "He is a specialist in the promotion of Western-style democracy, pure and simple." The LDPR firebrand also added Gennady Gudkov, the Fair Russia deputy, to his list, saying that he is one of the protest organizers in Moscow. 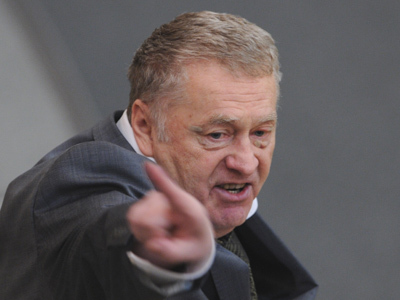 Although many ignore Zhirinovsky’s occasional rantings, his latest comments struck a chord with other politicians. Andrei Isayev, first deputy secretary of the Presidium of United Russia’s General Council and chairman of the Labor and Social Policy Committee, remarked that Zhirinovsky had initiated an unpleasant but very important discussion. "You may sneer and clown about it, but this discussion cannot be avoided," he said. 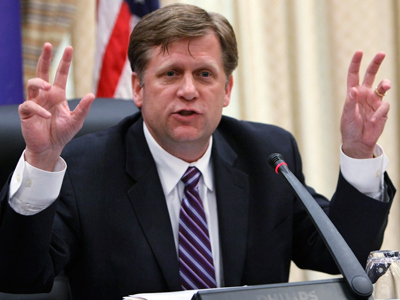 Michael McFaul, the newly appointed US ambassador to Russia, is an expert in “color” revolutions and his appointment “was no accident,” Isayev said. Isayev agreed with Zhirinovsky's suggestion that "the Parliamentary Ethics Commission must probe the situation." The LDPR leader also accused the US of hastily appointing McFaul when it sensed a possible political change of wind in Russia. "They smelled an orange revolution and made up their minds to throw wood on the fire," Zhirinovsky exclaimed. "The idea is to provoke shooting. 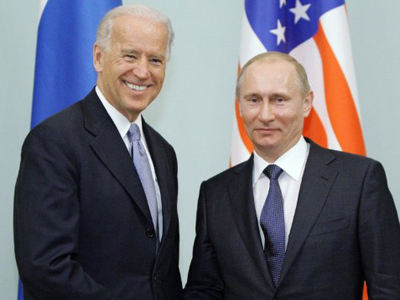 One shot, one death and they will start yelling about victims, that there is no democracy in Russia," he predicted.